The Bo-Keys "Got to Get Back !" Mini Doc from Electraphonic Recording on Vimeo. MEMPHIS, TN – Through two critically acclaimed albums and four singles, as well as international appearances at major festivals and clubs, the Bo-Keys have kept the spirit of classic Memphis music alive while writing a vital new chapter for the sound and style that's etched into the fiber of American consciousness. Led by Grammy nominated producer-bassist Scott Bomar and featuring legendary singer Percy Wiggins, the group also includes drummer Howard Grimes, who drove Stax and Hi Records hits for Ann Peebles, Al Green and others. Organist Archie "Hubby" Turner was also part of the Hi Rhythm Section, playing on historic sessions for Green, Peebles, O.V. Wright and more. Guitarist Joe Restivo, replaced Skip Pitts after his death in 2012. Restivo also plies his exceptional soul and jazz guitar vocabulary as leader of the all-instrumental band the City Champs. Horn players Kirk Smothers, Scott Thompson, Art Edmaiston and Marc Franklin, who co-founded the band with Bomar and original guitarist Skip Pitts, complete the line-up. 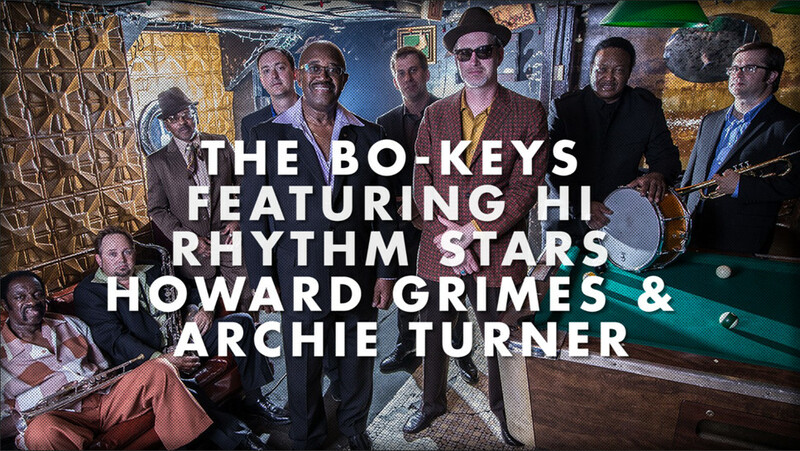 The Bo-Keys have garnered multiple Blues Music Award nominations and rave reviews for their albums, beginning with 2004's The Royal Sessions. Their most recent recordings are 2014's collection The Electraphonic Singles, Vol. 1 and John Nemeth's Memphis Grease, which has received two 2015 Blues Music Award nominations and garnered the Bo-Keys another nod for best band. The group is working on a new studio album exploring the intersections of country, folk and soul music, with interpretations of songs by Hank Williams, Merle Haggard, Bob Dylan and Ray Price which will be released in early 2016. Their international touring schedule has included such prestigious stops as California's Doheny Blues Festival, the Waterfront Blues Festival in Portland, Oregon, and Italy's Poretta Soul Festival. The Bo-Keys have also supported the fabled soul singers Rufus and Carla Thomas, William Bell, Otis Clay, Sam Moore, Eddie Floyd and Syl Johnson in concert. The band appeared in the 2008 movie Soul Men and played on the soundtrack, including Anthony Hamilton's Grammy nominated performance of the classic "Soul Music." The Bo-Keys single "I'm Still In Need" was used in the 2013 De Niro/Stallone comedy Grudge Match. Bomar also composed the original score for the acclaimed Craig Brewer films Hustle & Flow and Black Snake Moan, and his score for the Civil Rights-era documentary I Am a Man: From Memphis, A Lesson in Life won an Emmy Award. He also co-produced Cyndi Lauper's Grammy nominated 2010 album Memphis Blues and was assistant engineer for Al Green's Grammy nominated I Can't Stop in 2003 and Green's Everything's Okay in 2005. He recently scored the film Mississippi Grind, which debuted at the 2015 Sundance Film Festival and stars Ryan Reynolds and Sienna Miller.